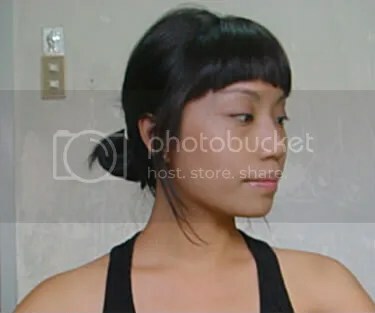 You may have heard of the Beauty Blender, that pink $20 darling that allows you to stipple on, blend and even get to hard to reach spots (side of nose, under the eyes, etc) because of its shape. It’s quite nifty, actually. But the price had me hesitating.. I mean, for me 20$ is already a lot of money (which I would rather spend on a brush or make up, of course). I still wanted to try it though. Enter the Sonia Kashuk for Target Blender Sponge. At $8.99, this bright blue is in for the win! It has a nice consistency, not overly soft. 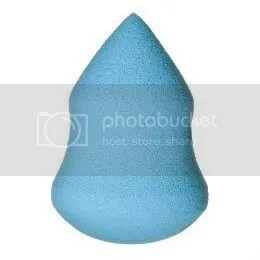 The shape is somewhat similar to that of the Beauty Blender’s. It works for me. I use it when I apply foundation in a stippling motion. I find it gives an even coverage with no harsh lines. Also, it’s soft, and will not tug at the thin, delicate eye area. The downside is..well. It’s a sponge. You don’t want this sitting on your dresser damp and collection bacteria for your next use. I don’t use mine for everyday, only when I need foundation. Which isn’t that often. This could be something you won’t want to hold on to forever. Mine has gone through 8 washings (I’m a good girl like that), and it is still in great shape. I’ve read somewhere that it crumbles after repeated washing, but I’d attribute that to a harsh cleaning agent.